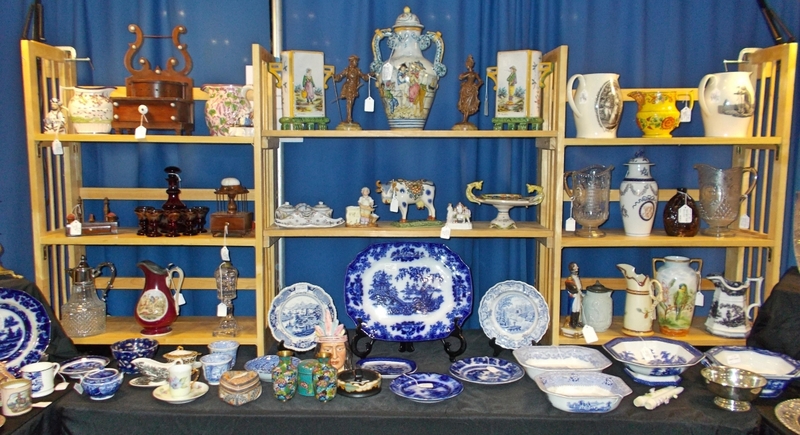 Sharon Green Antiques, Sharon, Conn.
SYRACUSE, N.Y. – Salt City Antiques Show was on, “weather or not,” Steve Allman said, as the manager and promoter of this traditional mid-January show. 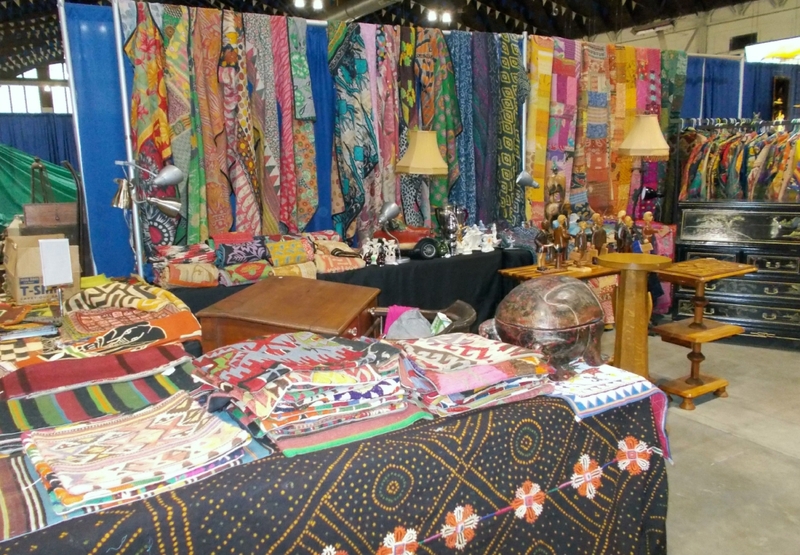 A wicked snow storm was forecast for the weekend, but more than 90 percent of the dealers arrived for their setup times, and attendance on opening day, Saturday, January 19, was very good he said. On Saturday night, there was more than a foot of snow, so attendance on Sunday was light; but dealers were understanding, noting good sales on the first day. 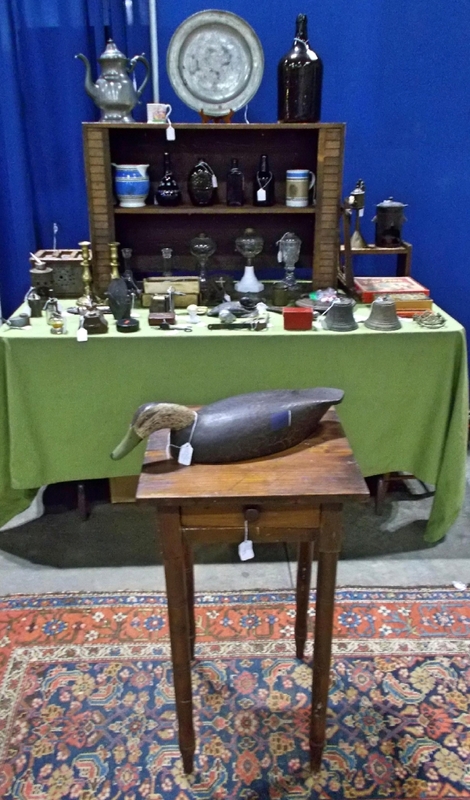 Up here along the Mohawk Trail there are hardy souls who are not easily deterred by the weather, and who consider the Salt City Antiques Show a tradition not to be missed, Allman added. How good were the sales? 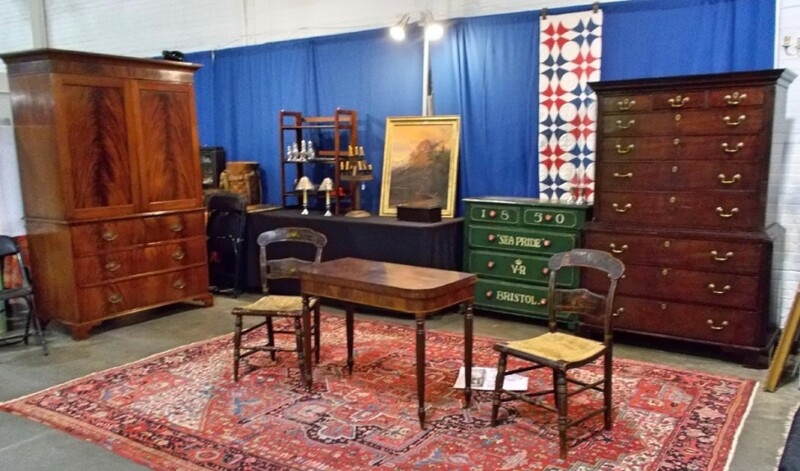 Mark Anthony of Boston sold Oriental rugs from the past in great quantities. He finds his stock here in the United States, at estate sales, house calls and other similar sources, but he still has his sources in Asia and Europe. 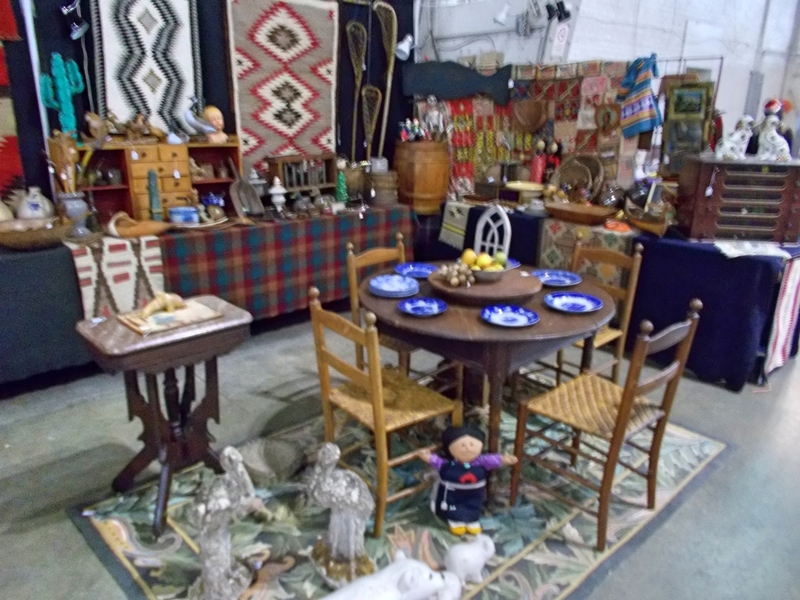 This weekend he sold more than 30 pieces ranging from little mats to room-size antique Heriz rugs. Matt Gosch’s collection of furniture is dominated by the Arts and Crafts style that was introduced in the late 1800s, and, in fact, he said was manufactured throughout upstate New York, even near his North Tonawanda, N.Y., home. This has made his collecting a little easier, for there is a great deal of the material available for him – although some requiring expert repairs, which he does. 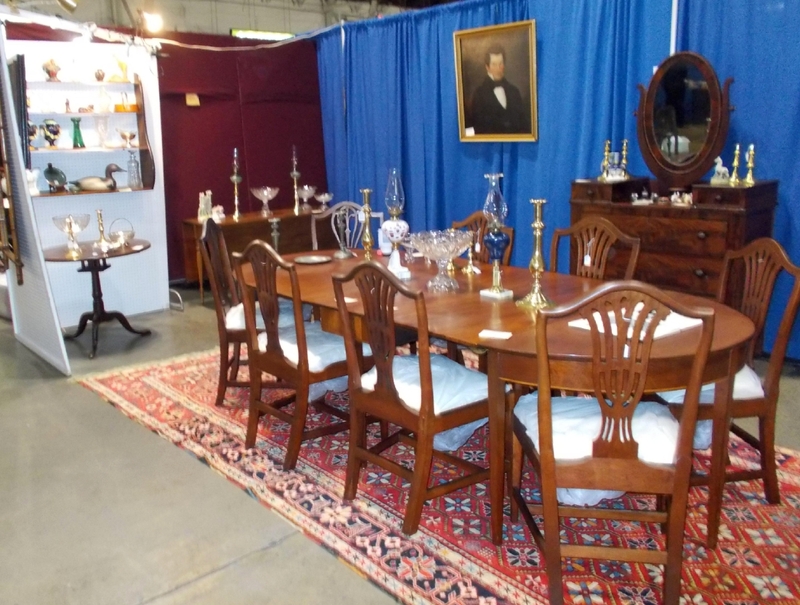 Steven White began the show with a sale of an Eighteenth Century mahogany tilt top table, Baltimore in origin, he said, on that first day. 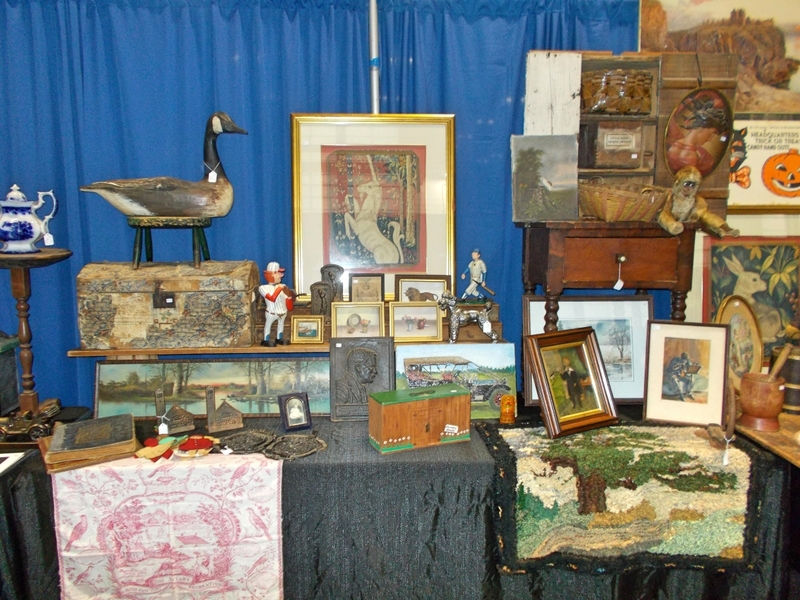 Trading as White and White Antiques, Skaneateles, N.Y., he has been a fixture at the Salt City show for many years, offering American and English furniture and accessories from the Georgian and Revolutionary periods. 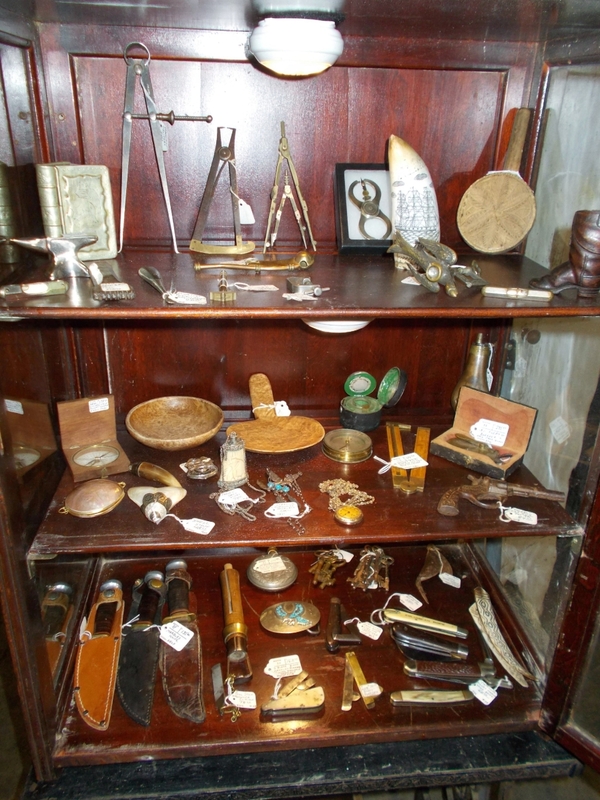 Additional sales included Eighteenth Century crystal candle holders and sterling silver hollowware. Sharon Green Antiques, Sharon, Conn., was across the aisle from White with its collection of silver whimsies and early English furniture. The whimsies were selling rather well, including a sterling silver toast duster and several silver overlay perfume bottles. Also selling were a New York heritage quilt, circa 1900, cotton, applique with butterflies, and a pre-World War II Heriz rug from Persia. Sharon Green had a game table attributed to Duncan Phyfe for $2,750. 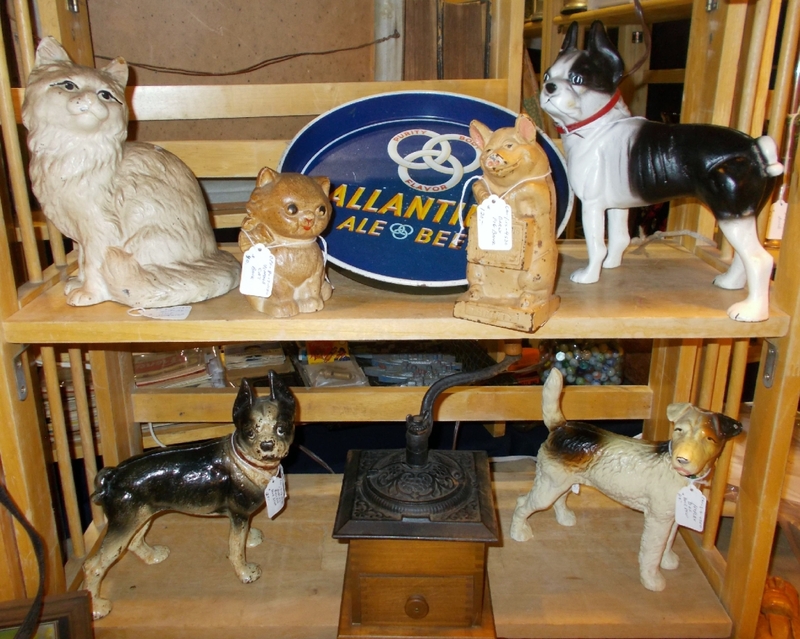 Chris Blanchard, Bradley House Antiques of Minoa, N.Y., had a collection of unique 200-year-old lighting devices. Included in the collection were several Eighteenth Century Betty and cruzee lamps, a few sticking Tommies (these are the names of small whale oil lamps from about 1800) and many assorted Nineteenth Century pattern glass whale oil lamps. 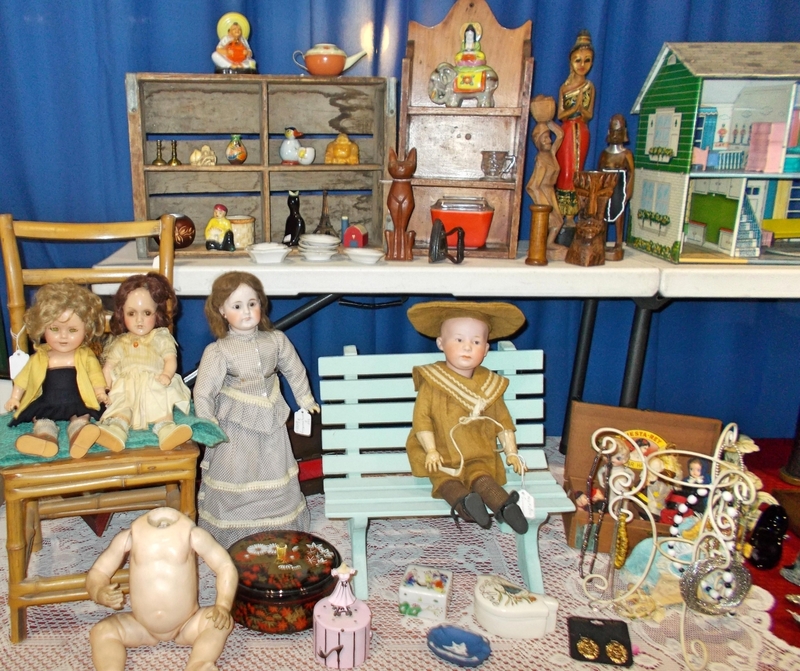 The Village Antiques from Syracuse was showing an extremely large collection of “little things.” They specialize in Nineteenth Century holiday tchotchkes, toys from that same time period and many other small objects, including household tools. 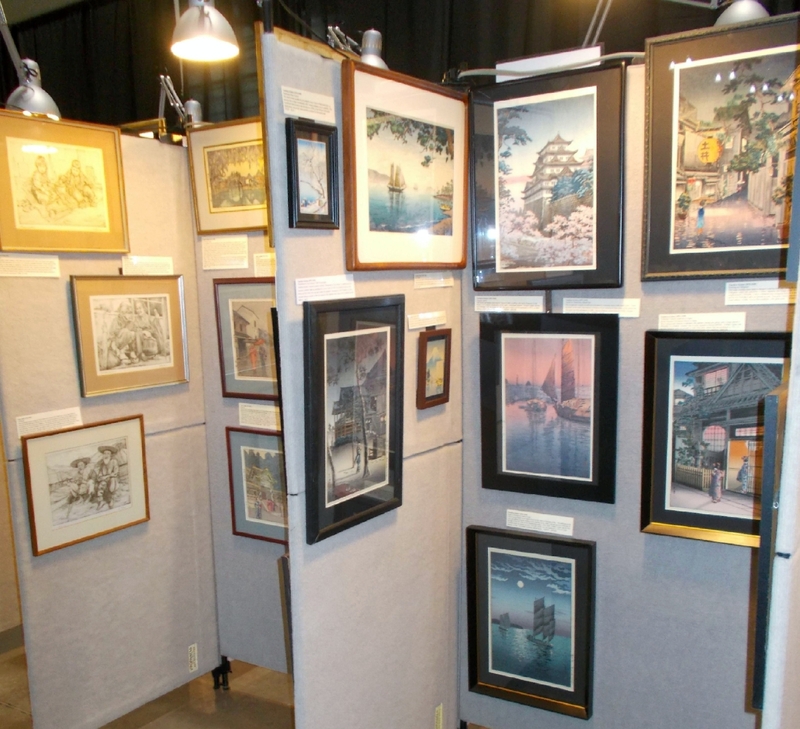 This weekend, however, they devoted a large area of their exhibit to turn-of-the-century art, prints and memorabilia featuring sporting and animal prints, paintings and more. 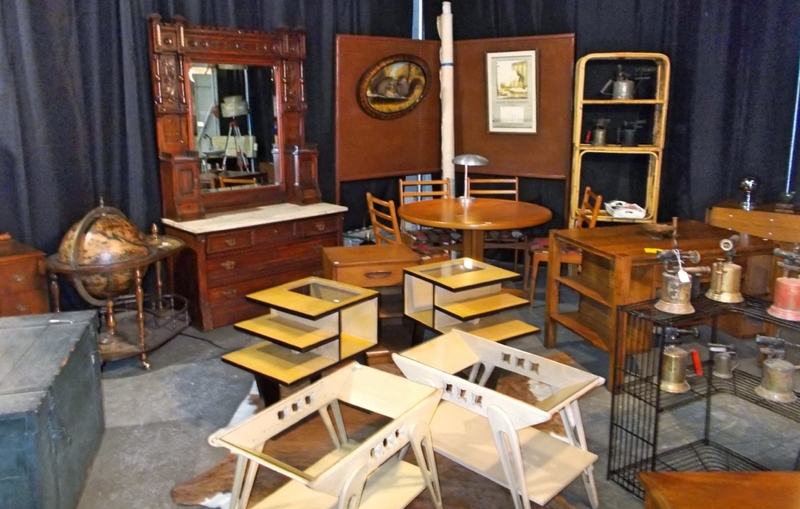 O’Donoghue’s Antiques, from Ogdensburg, N.Y., was selling native New York furniture from 100 to 200 years ago. 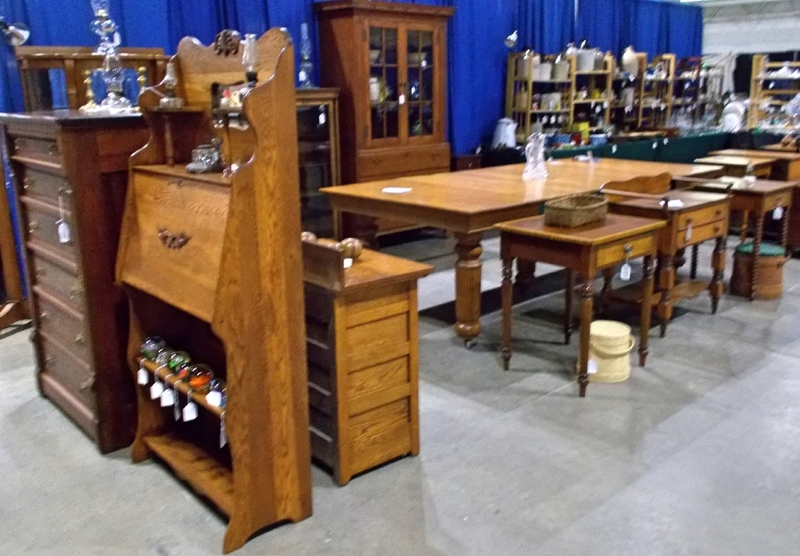 Filling one of the largest exhibit areas in the show, they featured Mission and Larkin-style furniture, along with many Shaker accessories found in northern New York. Madison Inn Antiques is a shop in a small New York town of the same name. 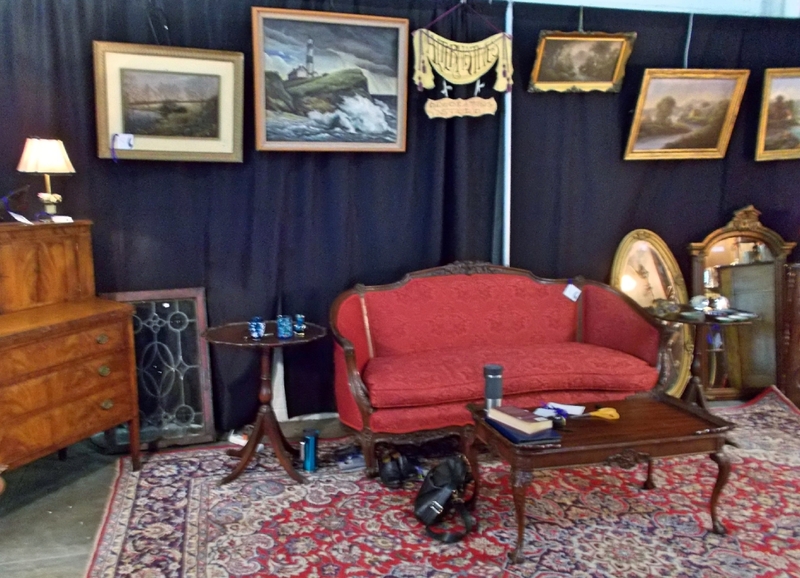 For the show they brought a large sampling of what could be found in the shop, including more of the Mission and Larkin oak-style furniture from the Nineteenth Century and some pieces from the Eighteenth Century as well. Sandra Willson, Churchville, N.Y., was selling from her collection of silver and fine porcelain dinnerware. A regular at this show, she has customers who expect her and plan to shop with her each time. Bruce Block trades in somewhat exotic silk textiles. He travels several times a year to Asia Minor and also now to the Orient to buy his merchandise, silk prints and woven pieces, which are then used for garments and home décor. This is in addition to a select group of Oriental rugs and Chinese furniture. Here in Syracuse, his hometown, he had good sales in spite of the difficult weather-reducing activity on Sunday. 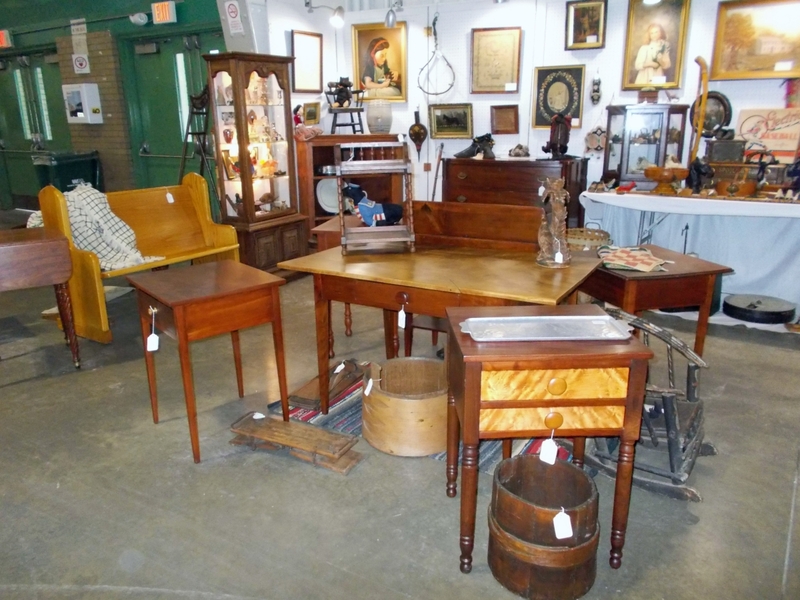 Upstate Antique Center, Waterloo, N.Y.
Three dealers were sharing one exhibit area with a blended collection of late Eighteenth and Early Nineteenth Century American antiques found at homes and farms in the Northeast. 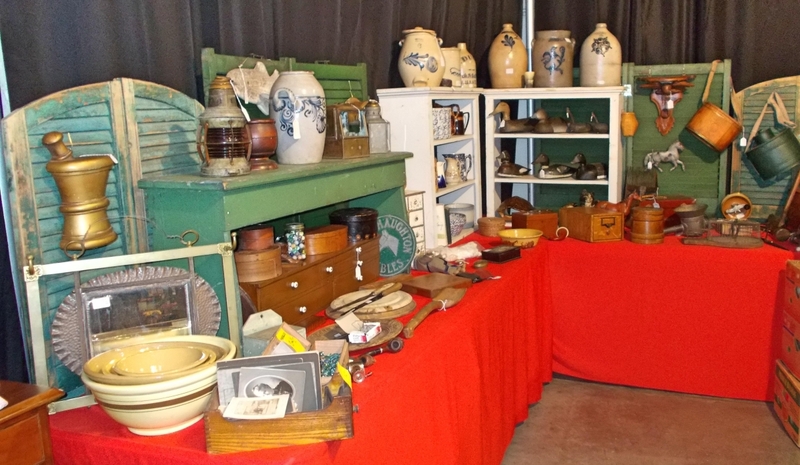 Brody Antiques, Ancient Origins and Christina’s Antiques, from Canandaigua, N.Y., shared the space to show a large collection of early decorated stoneware, painted furniture, lighting and home tools. This show turns up some very fine pieces. 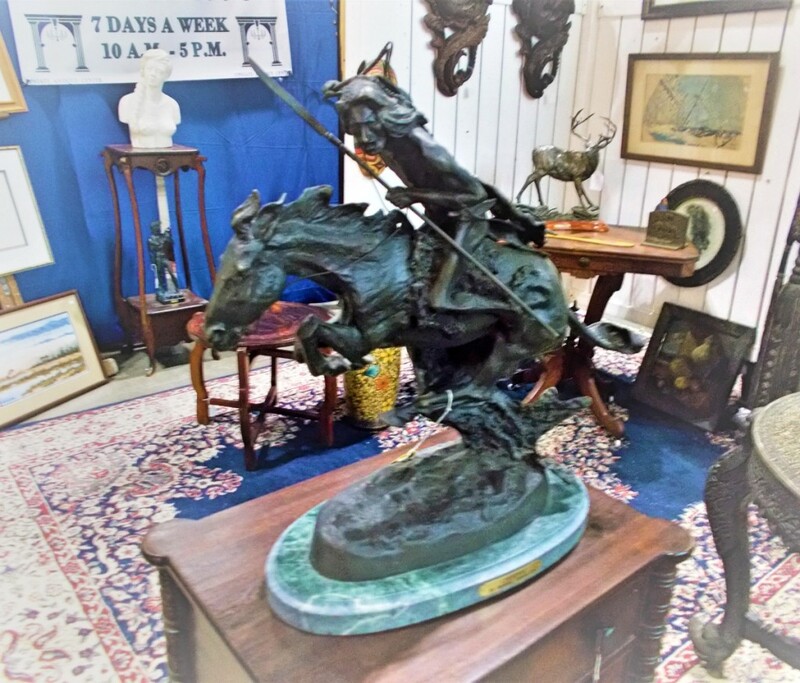 In one booth there was a Remington bronze statue, offered by Upstate Antiques Center of Waterloo, N.Y., for $725. 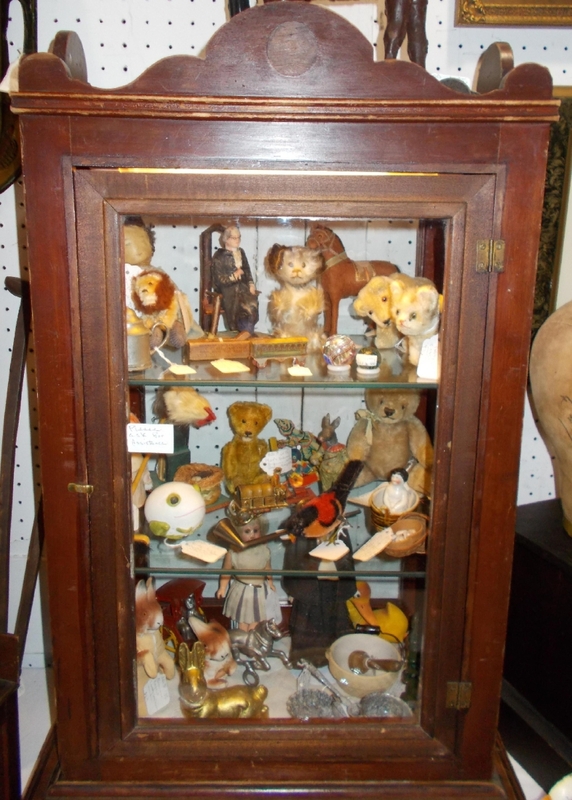 Rochester, N.Y., dealer Diane DeVolder was selling miniature Stieff bears and other animals, while next to her Karl Semmel, also from Rochester, offered fine hardwood furniture. “The show is considered a great winter treasure hunt by shoppers, one not to be missed for all the great fresh finds,” manager Steve Allman said. For information, 239-877-2830 or www.allmanpromotions.com. Allman Promotions’ next show in Syracuse is in the Horticulture Building, 581 State Fair Boulevard, March 9-10, with about 150 dealers; they also produce the Big Field at Madison Bouckville, N.Y., this year August 16-18. Susan Sauvageau, Seneca Falls, N.Y.